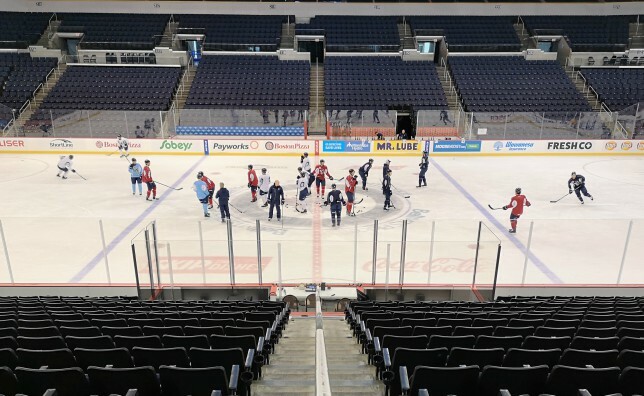 The Manitoba Moose have been on such a roll on home ice they were bound to cool off some time. Yesterday, the Winnipeg Jets American Hockey League team found itself with a 3-0 first period deficit to deal with at the hands of the San Diego Gulls, and couldn’t find a way back, eventually losing 4-1. It was the first regulation loss at Bell MTS Place for the Moose in a month and just the second time going empty-handed downtown since before Christmas. White scored the lone Moose goal, his second of the season, and was part of an up-beat group that returned to practice today at the game rink on Portage Ave. Despite the loss, Manitoba starts the week four points behind Rockford for the final playoff spot and the Moose have 13 games to go while Rockford has 12 remaining. The Winnipeg Jets affiliate closes out this six-game homestand Tuesday night with a rematch versus San Diego, part of a stretch that features seven contests against Pacific Division teams and six against Central Division sides. The final bakers’ dozen of games has Manitoba on home ice five times, while skating on the road on eight occasions. 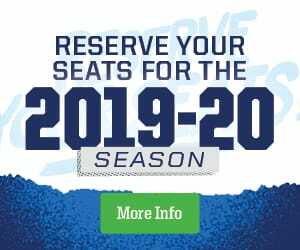 It’s a stretch that includes the final four regular season games at Bell MTS Place early next month. Jets first-rounder Kristian Vesalainen returned to the Moose lineup in yesterday’s loss to the Gulls. It was the winger’s first game with the team since his Jokerit squad was bounced from the KHL playoffs by Moscow Dynamo. The 19 year old Finn looked more comfortable as the game went on, and skated on a line with the team’s top scorers – Seth Griffith and Logan Shaw. Vesalainen was held off the scoresheet against the Anaheim Ducks’ affiliate Sunday, but has eight points (3G, 5A) in nine AHL games this season. The 19 year old winger had 17 points (6G, 11A) in 31 KHL regular season games before adding one point in a half-dozen post-season outings. Kristian and his teammates can draw inspiration from recent history, the Moose have not only won the game after losing in regulation time each of the last two times they’ve stumbled, but also won consecutive times in each case. The newest addition to the Moose roster, Jets third round pick Johnathan Kovacevic, joined the team for practice today and skated at Bell MTS Place for the first time. The Moose signed the 6’4, 215 lbs. rearguard to an amateur tryout following Kovacevic inking a two-year, entry level contract with the Jets that begins next season. Tickets for Tuesday’s game against San Diego are available at moosehockey.com/tickets.